Casper launched in 2014 with the goal of modernizing the sleep industry and has become one of the most recognizable names in the bed-in-a-box industry. 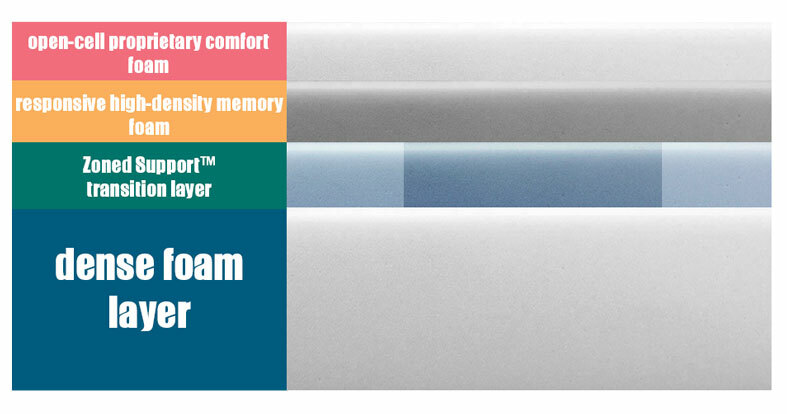 Their all-foam bed is one of the most comfortable we have found for the widest variety of sleep preferences. Our in-depth review of Casper will cover all the new updates. Casper’s in-house R&D department is constantly responding to consumer feedback to continually refine their products. Their newest update has incorporated a Zoned Support™ layer to accommodate different weights at different parts of the bed. 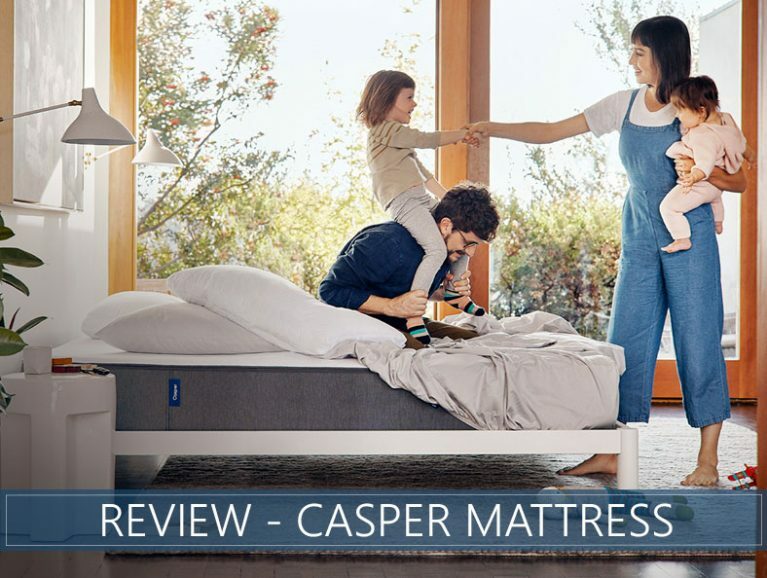 Casper also sells a high-end model, The Wave, and an entry-level model, The Essential, but for this review, we will discuss the original Casper based on our scoring system, which evaluates characteristics like support, pressure relief, motion transfer, and quality. Keep reading to see Casper’s full review, or skip ahead to our scoring and summary sections. Use “SLEEPADVISOR” coupon code at checkout or click the button below. Are a combination sleeper – People who tend to change position should not have any difficulty with the Casper, due to the combination of its quick-responding top and transition layers with a supportive base. The specially-designed foams are also extremely accommodative for all sleeping positions, making this bed a good choice for couples. Want zoned spine support – This brand really goes to work to blend comfort with excellent alignment. Softer foam under the shoulders paired with firmer foam under the hips help to keep the spine straight while you sleep. Sleep hot – Proprietary breathable foams and strategic layering work to promote airflow and help keep this bed cooler than many competing memory beds. Want an innerspring feel – The all-foam structure is extremely supportive and versatile for a lot of individuals, but it will feel different from beds that incorporate coil systems. Do you want to see our full list of mattresses? Click here to learn more. Or if you prefer to choose between our favorite picks click here. Casper is an all-foam bed that ships straight to your door compressed in a box. As with most all-foam constructions, you will want to use a flat surface, platform, or closely slatted bed frame for best results. Foundations and adjustable bases specially designed for Casper mattresses are available on the company’s website. The cover is made from a durable two-toned polyester with quality stitching that holds well when the fabric is pulled in multiple directions. It is also fully-removable for spot cleaning. Overall, the mattress is 12 inches thick and has four distinct layers. The first layer is 1.5 inches of open-cell proprietary comfort foam that gives the mattress some bounce and breathability to keep the surface from overheating. The third layer is 2 inches of Zoned Support™, a transition layer that is firmer in the center of the bed where your hips are positioned to help with the extra weight that tends to concentrate in this region, but softer around your shoulders and knees, for additional pressure relief. Since your body is getting tailored firmness levels, your spine should remain in neutral alignment. The fourth layer is a 7-inch layer of dense foam that lends durability, provides support, and creates the overall foundation of the mattress. On our firmness scale, we scored the Casper at a 6 out of 10, with 10 being the firmest, which we would classify as a medium level of firmness. Beds in this range tend to work best for couples who have differing sleeping preferences as they more versatile. With this mattress, there is slightly less sinkage than expected of brands with a memory foam layer, which is ideal for individuals who prefer to sleep more on top of their mattress. There is also an average bounce for an all-foam product, which is largely due to the top comfort layer and the base layer. The soft cover gives it a cozy feel. Lying down on the mattress, you should feel as if your weight is evenly distributed. With the Zoned Support™, a firmer transition foam under your hips will keep your spine even with your shoulders. Though you will sink in a small amount for pressure relief and a gently cradled feeling, you will not feel stuck. You will sleep more on top of this bed rather than inside it, which, along with the quick-response top, transition layer, and base, will help you to change positions easily. Also, the mattress’ balance of comfort and alignment make it a versatile choice, especially combination sleepers who tend to switch between positions. Most back sleepers will appreciate the feel of extra support underneath their hips that keep their spine well aligned. The top comfort layer and memory foam will contour nicely into their lumbar region. Most side sleepers will notice the classic pressure relief of memory foam in the second layer and find that the bed conforms nicely to their curves while keeping their spine in neutral alignment. Side sleepers often experience pressure in their hips and shoulders in this position because their weight is concentrated in a smaller area. Most stomach sleepers need a bed that is firm enough so their hips do not sink too low, forcing their spine into an awkward angle. The Zoned Support™ layer really shines for the stomach position by adding extra firmness where it is needed most. Casper is one of the most versatile mattresses we have looked at, and we really think it will be a great choice for a wide spectrum of people and body weights. That said, different body shapes and sizes will experience a mattress differently. Individuals who are significantly heavier may want to upgrade to Casper’s Wave, that will provide extra support and even more advanced zoning features. All-foam mattresses, especially those with some memory materials, really shine in the category of motion transfer because of its tendency to absorb shock and isolate movement. Though there is an average bounce in this bed, it does not travel to other parts of the mattress or create a disturbance. If you have a partner and worry about disturbing their sleep by rolling over, Casper will be a great choice. Casper’s edge support is competitive with other all-foam mattresses, performing slightly better than expected for a bed-in-a-box. You will notice some compression when sitting on the side with all of your weight concentrated in one spot, but lying down with your weight more distributed, you should feel well supported, even close to the edge. People who with partners want to maximize the amount of surface space they can use, and beds with more solid edges give you more room to move around. We love the versatility and Zoned Support™ of Casper. Since it is accommodating for sleepers of all types, we think there is a great chance you will love it, too! Casper really takes the time to do their research and listen to customer feedback, and the result is a bed that will accommodate a lot of different people and their preferences. Stomach and back sleepers will love the newest update, which incorporates a Zoned Support™ to provide just a little extra support they need it most. Proprietary foams and strategic layering work great for all-over pressure relief and temperature regulation. Casper gives you a risk-free 100-night trial to decide if this versatile mattress has got what it takes to deliver your most comfortable nights yet. The thing I like the most about Casper besides that it’s so comfy that you feel like you’d stay in the bed forever, is its cooling technology. I have never slept better. Well, there’s a 100 night trial period, so why not? I am a side sleeper, my husband is one of those people who change positions every five minutes. We have a king and it works great for both of us. You can assume it has a very good motion transfer.. I feel like I wrote enough in the Pro/Con fields. Read that. + PROS: I have upper back pain, and this mattress is PERFECT for my back. I returned the mattress due to knee pain (see cons), but that is THE BEST CUSTOMER SERVICE I have ever dealt with (in fact, that is what motivated me to write this review). They will donate or recycle returned mattresses (yay!). Also, my case was assigned to a PERSON. I got to choose the charity to donate to, and the charity will pick it up. Then I only need to email the receipt to the same person on my case and they will refund me. More companies need to have this level of customer service. I am sick of talking to robots!! This feels like a good quality mattress all around, which is surprising because it comes in a box. Not sure how that works. I suspect witchcraft. I absolutely love this mattress! I just bought one for my son too. I was really unsure which one to choose, there’s so many good offers. I’m so happy I’ve made the right decision! I agree. It’s absolutely the best deal you can get for that money. It can easily compete with some much more expensive mattresses judging by its performance, if you ask me.. I use to wake up a hundred times during the night, and I’m so unbelievably relieved I don’t do that anymore. I guess sometimes all you need is a new mattress and you don’t even realize until you buy one. I have a bad hips and I am amazed how mattress can impact your life. Since I bought Casper, getting out f the bed has been so much easier and almost painless. And it’s getting better every day. Does Casper provides good edge support? I am very restless while sleeping and I fell out of bed recently since it has such a poor edge support, so I realized it’s time to do something about it. Is Casper good for me? It has pretty solid edge support, if you ask me. I feel better lying on my back than on my side, though. But, the difference is minimal, really. I weigh 200 lbs. Will this model support my weight, mainly my hips. I’m a back sleeper. Thank you! It really depends on how you are shaped and how you carry your weight. Casper has a pretty generous sleep trial program, so you can try the bed out to see if it’s a good match for you. Thanks for reaching out! My husband and I both really like and prefer a Firm mattress and I have always slept ‘hot’, even more so now that I’m menopausal. 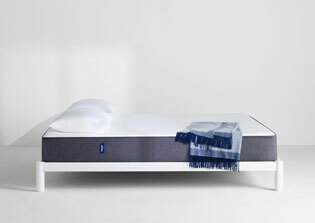 Would the Caspar mattress work for us or would we be better off w/ a traditional mattress? Thanks for writing to us. 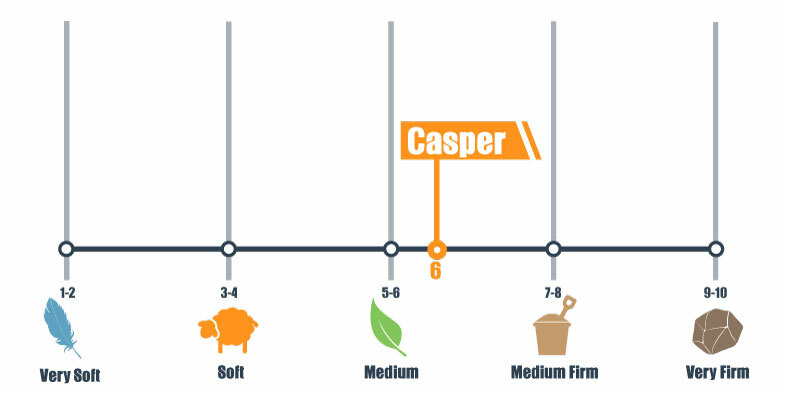 Know that we scored the Casper in the more versatile Medium-Firm range, so you may not be satisfied if you’re looking for extra firmness. Take a look at our Best Firm Mattress list to see if you find anything up your alley. Thanks for reaching out. question- is there a box spring? if not a box spring where do I buy a box spring that is compatible? Most newer mattresses do not require a box spring, but if that’s what you prefer, most newer and supportive box springs should do the trick nicely with this mattress. Thanks for reaching out!